Now, we hear Singapore's side of the story: No supporting documents received so far from Sri Lanka. Singapore’s Ministry of Foreign Affairs (MFA) has countered Sri Lanka President Maithripala Sirisena’s recent accusation that Singapore is sheltering the nation’s ex-central bank chief who is wanted in connection with a US$74 million trading scam case. In a statement on Monday (18 Mar), Sirisena publicly accused Singapore of sheltering the suspect Arjuna Mahendran who is now a Singapore citizen. 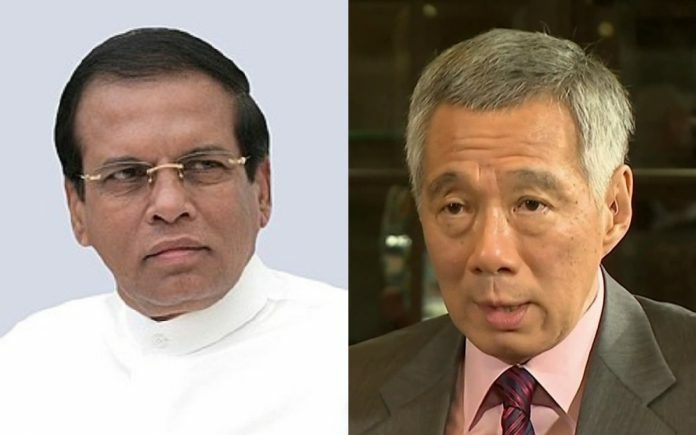 Revealing that he appealed to Singapore Prime Minister Lee Hsien Loong for assistance in the case in Jan 2019, Sirisena lamented that PM Lee had promised that he would take action but so far, nothing had been done. The Sri Lankan President added that Interpol had issued a red notice for the arrest of Mahendran but Singapore was not acting on the request. In a statement on Wednesday (20 Mar), MFA countered Sirisena’s claims and revealed that it has been working with the Sri Lankan authorities on their extradition request of Mahendran since January. MFA revealed that it requested supporting documents from Sri Lanka, as the extradition request lacked certain information required under its extradition laws. However, the MFA has not received the documents thus far. An MFA spokesman told the national broadsheet that the request for supporting documents “was acknowledged by the government of Sri Lanka. To date, Singapore has not yet received the requested supporting information and documents. The case involving the ex-central bank chief is a high-profile one that caused a rift between Sri Lankan political leaders that led to significant political turmoil in the nation. In 2015, Mahendran was accused of passing confidential information to his son-in-law, a bond dealer, in order to make millions of dollars in profits. Both Mahendran and his son-in-law have been accused of manipulating bond auctions in 2015 and 2016, thereby causing Sri Lanka to incur over S$11 million in losses. In February 2017, Mahendran was listed as a key suspect in a multi-million dollar bond scam. A presidential report that was released thereafter accused Mahendran of insider trading and recommended that the nation recover losses from Mahendran and his son-in-law. Failing to appear in court to respond to charges, Mahendran fled overseas. A naturalised Singapore citizen of Sri Lankan descent, Mahendran is believed to be residing in Singapore. The case involving Mahendran has had deep political ramifications in Sri Lanka. The nation’s Prime Minister, Ranil Wickremesinghe who is Sirisena’s coalition partner, personally chose Mahendran to head the central bank in 2015. Mahendran’s involvement in the high-profile scam deepened the acrimony between Sirisena and Wikremesinghe. This tension came to a head in 2018 when Sirisena plunged the nation into political turmoil by abruptly firing Wikremesinghe and installing ex-President Mahinda Rajapaksa as Prime Minister. Following months of chaos, the Supreme Court intervened and ruled that Sirisena’s act of dismissing the Prime Minister and the Parliament was unconstitutional. Wikremesinghe was reappointed as Prime Minister after the ruling.